Revaluation the results of activities during 2015, thus finding out learnt lessons and mapping the strategies for the new period of 2016 – 2018 are among the most prominent topics of the Annual General Meeting of LandNet Activities in 2015. 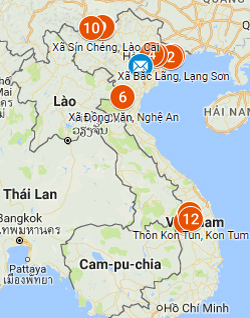 The Meeting was held in Hanoi on January 18th, 2015, with the participation of 23 members, representing the ethnic groups of Tay, Nung, H’Mong, Thai, Van Kieu, Gia Rai, and Kinh from 6 provinces: Lang Son, Lao Cai, Nghe An, Ha Tinh, Quang Binh, Bac Kan and Kon Tum. Mr. Le Kien Cuong, LandNet Coordinator of Huu Lung, Lang Son was the chairman of the meeting. The participants had a whole day to openly share the results of activities in their own region, especially their personal experiences in: consulting local authorities to find solutions to community forest management; applying customary laws creatively in solving community forest encroachment; implementing small grants to develop local forestry plants nursery for reforestation purpose in 3 regions of the North (Huu Lung), the Central (Nghe An, Ha Tinh) and the Central Highlands (Sa Thay District, Kon Tum); trying to engage the local authorities in some regions in protecting community rights in forest land management; and finally, agreeing on the direction for development in 2016 - 2018. Mr. A Duu, LandNet coordinator Ka Bay Village, Ho Moong Commune, Kon Tum, shared his story of how the villagers successfully convicted of Southern Paper Company for community forest encroachment twice, following their customary laws, which insisted on receiving the compensation in kind instead of money. When disputes occurred between the villagers and forestry company over forest land rights, it was the women of the village to discuss and negotiate with representative of the company. We can see the solidarity between LandNet and the community has been strengthened and the traditional culture in forest land protection and managements has been promoted effectively. 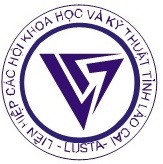 The strategy for development of LandNet activities in 2016 – 2018 has been set: connecting LandNet to organizations in both Vietnam and international alike; expanding LandNet activities in more regions and increase membership, especially women; raising sub-LandNet’s capacity via training courses, workshops and building pilot models; and taking part in researching on community forest land rights for lobbying and contributing to the completion of Forest Protection and Management Law in the next few years. We hope that with the current effort of LandNet members, the period of 2016 – 2018 will surely achieve significant success. Workshop on "The results and inadequacies in the implementation of forestry policy"
Independent evaluation of our project "Promoting Land Rights for Ethnic Minority People in Vietnam"
© Copyright 2018 by CIRUM. All Rights Reserved.